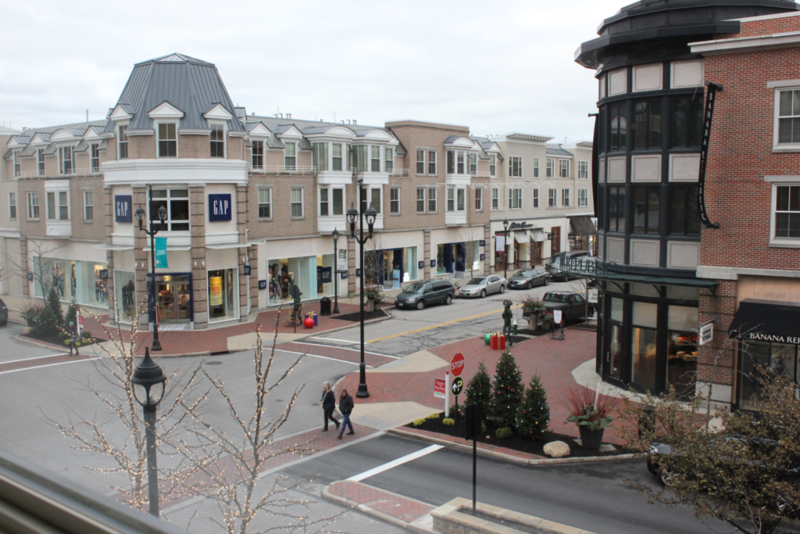 The view from a second-floor apartment at Crocker Park shows there’s no shortage of retail of which residents can take advantage. 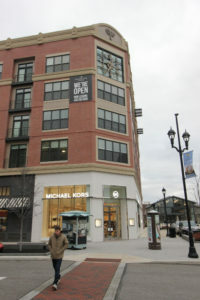 A shopper walks in front of Crocker Park Living’s clock tower, which fronts one of the apartment buildings. You know how you sometimes forget something you really want for dinner, but going to the nearest supermarket is anything but convenient? That’s not a problem for residents of Crocker Park Living, 536 apartments at the heart of Crocker Park, the Westlake retail and office mecca developed by Stark Enterprises. If you live in one of these units, grabbing that critical culinary ingredient is as easy as walking downstairs. These apartments – built in three phases between 2005 and 2015 – are one floor above Trader Joe’s, one of three grocery stores in the development. They’re also mere steps from all kinds of retail spanning clothing, restaurants and a movie theater, as well as Market Square, a space available for corporate events and civic gatherings. There’s soon to be more. Starting in spring 2018, Crocker Park Living dwellers will be able to join the LINC Social Club, a 10,000-square-foot “private amenity space for the residents,” according to Brian Weisberg, vice president of residential operations for Stark Enterprises. LINC, which stands for Living In Crocker Park, will be a “fully programmed social experience” open only to people who live on site. LINC membership costs will be covered in the rent. Living in Crocker Park means you never have to leave. Bracketed by American Greetings and the Promenade, this lifestyle center and mixed-use development is a place to hang your hat, work, eat, shop, participate in kids’ days and farmer’s markets, be entertained – and socialize. It’s a virtual, self-contained community designed to offer a city feel in a suburban setting. The “live” part is the apartments, which occupy two to four floors above the retail, says Weisberg, a Shaker Heights resident who grew up in Beachwood and is a former congregant of Park Synagogue. Separate parking, camera surveillance, controlled-access key fob-activated entry to the residences, and special “engineering components” insulate residents from retail and office workers. 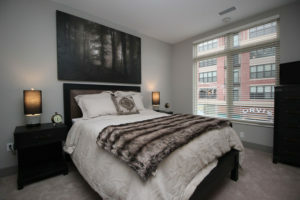 One of the bedrooms in Crocker Park’s two-bedroom model apartment . Crocker Park’s apartments feature sizeable windows through which you can observe the hustle and bustle of the shopping center. One-bedroom units of 650 square feet to 1,220 square feet rent for $1,100 to $1,850. Two-bedroom units of 1,015 square feet to 1,500 square feet rent from $1,850 to $2,500. “We offer a wide variety of suite options to meet all lifestyle needs from short-term leases to corporate housing to long-term lifestyle needs,” Weisberg says. 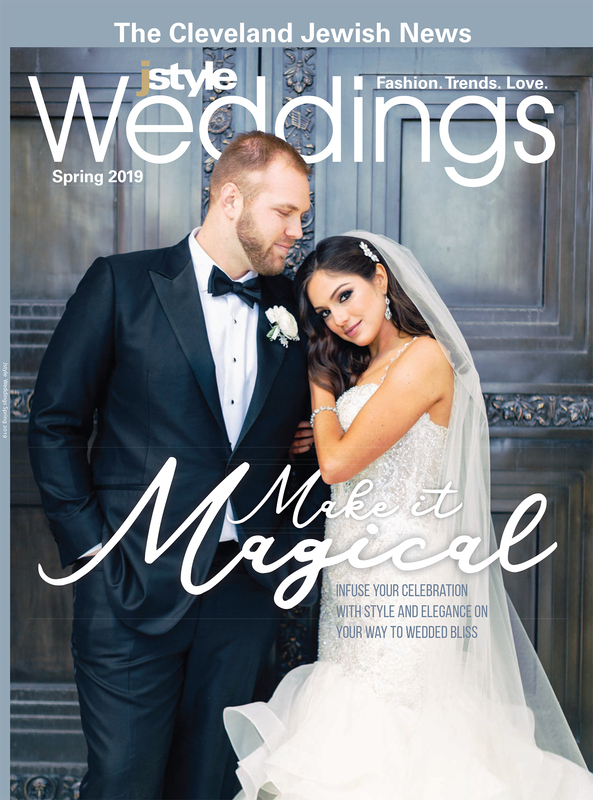 The renter demographic spans young professionals and empty nesters, says Weisberg, noting Crocker Park offers preferred discounts to American Greetings workers and retail employees who rent from Crocker Park Living. And if convenience is one appeal, so is the level of amenities. The apartments themselves, at least ones in Phase III, a 318-unit structure that opened two years ago, are ultra-contemporary, sleek and cool-feeling. The palette is muted – dove, off-white, silver, blond, charcoal-brown, beige – but the ambience doesn’t feel overly earth-toned. It’s more refreshing than that, particularly in light of the many floor-to-ceiling windows. Complementing the palette of the paint and the outfitting are stainless-steel, state-of-the-art appliances, that coveted granite counter top, and contemporary furnishings, often from Crocker Park retailers like Arhaus. 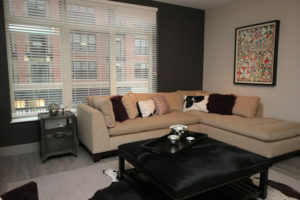 Chrissie Aurich, the property manager, lived there for some time and enjoyed the self-contained nature of a Crocker Park Living apartment. She notes that Phase I, 158 units that opened in 2005, is more traditional, featuring cherry wood cabinets; 58-unit Phase II, which opened in 2009, blends that feel with its successor’s more contemporary look, but also features outdoor terraces. The idea is to offer different finishes and slightly different configurations, she says. 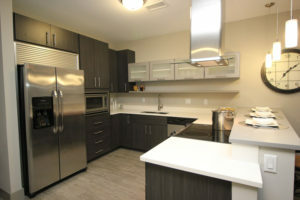 The kitchen in the two-bedroom model apartment suggests there’s plenty of storage and space for cooking – if one isn’t taking advantage of the many restaurants at Crocker Park. 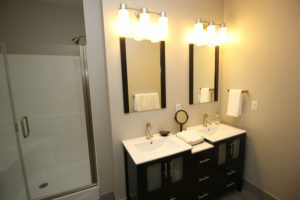 A portion of one of the bathrooms in the two-bedroom model. It’s the totality that makes Crocker Park a place to call home, Aurich suggests. Weisberg, meanwhile, stresses the multi-faceted uniqueness of the place. Hosted by Chabad of the West Side, the Grand Chanukah Party will begin at 5:30 p.m. Dec. 13 at Crocker Park’s Market Square, 239 Market St., Westlake. At 6:30 p.m., there will be a giant menorah lighting. Entertainment, music, latkes, doughnuts and family-friendly activities are also planned. For more information, visit bit.ly/2zUhJ3n.